I had a very pleasant surprise yesterday when I started looking over what I thought was just another users created online dictionary and discovered that there is more to Wordie than meets the eye. The site looks very simple and very text based, but when you log in and start to dig around a bit there are some really useful features. 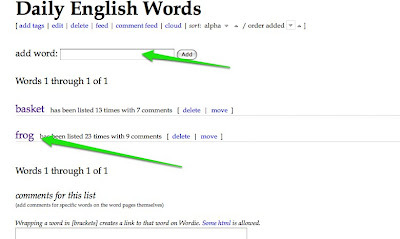 Wordie enables students to create and share word lists, but it also does much more. 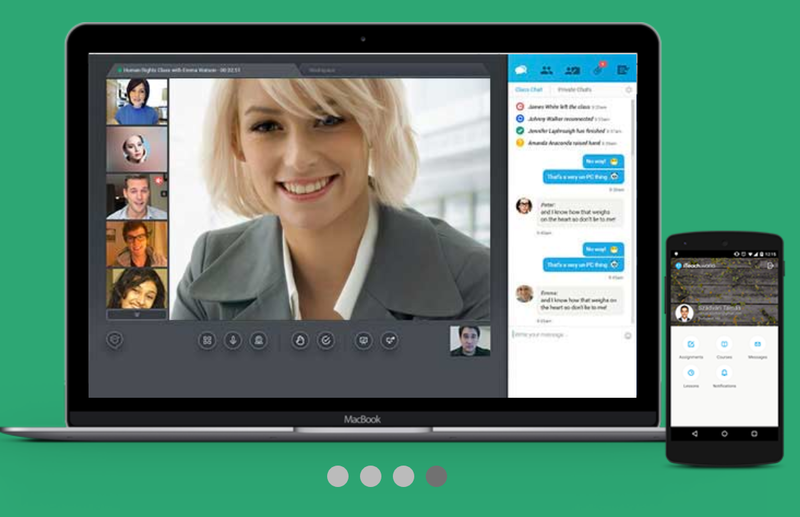 Users can click through to a range of information sources related to the words, such as online dictionaries, Wikipedia, Thesaurus and even Amazon books related to the topic. Some of the other really useful features can be found in the Tools section, where you can create a blog widget that reads from your word lists and generates a code for you to embed your own recent word or random words into your blog. You can create your own personal RSS feed from the site, or you can even track the most recent comments on the words. This is a really great tool for helping students to develop, learn and revise their vocabulary and of course it's all free. 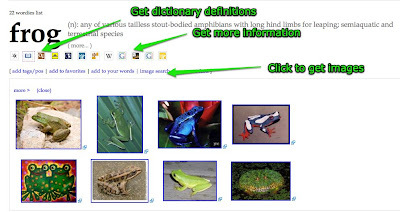 Your students will need to have an email address to set up an account and use the word list features, but if you don't want to do that you can still use the word search functions or you could set up your own new vocabulary list for your students and then create a feed to embed in a blog for them. Wordie is another of those sites that starts with a very simple idea and makes it into something really useful. Hope you enjoy it.